Care2 Healthy Living | Could This Be the Secret to Reef-Friendly Sunscreen? Conventional sunscreens are having a detrimental impact on the environment and are a major culprit behind coral bleaching. Vast swaths of reef—including the majestic Great Barrier Reef—are turning bone white and dying, and certain chemicals in our sunscreen are partly at fault. The chemicals oxybenzone and octinoxate, the FDA-approved active ingredients in most conventional sunscreens, are known to cause bleaching, deformities, DNA damage and death in thriving coral ecosystems. In fact, they are contributing to a great coral die-out. And our love of swimming in the ocean is the problem. When you wear sunscreen in the ocean, it leaches into the water systems, where the chemicals have a havoc-wreaking half-life of about 2.5 years. Even if you don’t visit coral reefs on a regular basis, the EWG confirms that these chemicals are also powerful endocrine disruptors that can throw hormone levels dangerously out of whack. Unfortunately, these chemicals can be detected in the bodies of almost all Americans—even in breast milk. So what do we do? Is there a healthy sun solution that is safe for our bodies and the ocean? Well, the ocean may, in fact, hold the answer. 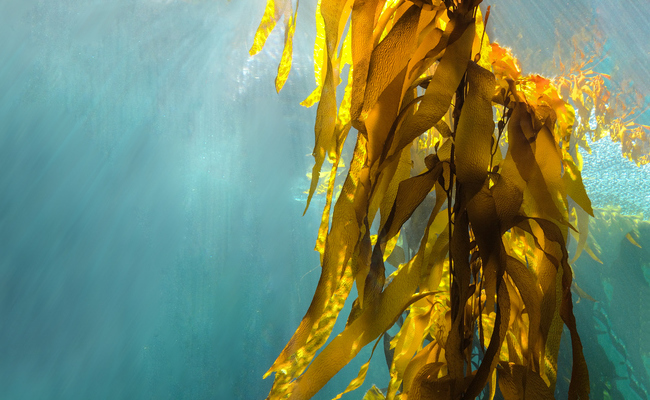 According to a study conducted by King’s College, London, a special compound in seaweed could protect our skin from sun damage without harming marine ecosystems. Scientists extracted a mycosporine-like amino acid (MAA) from seaweed known as palythine. When testing on human skin cells, palythine was shown to block UV rays and protect the skin, even at very low concentrations. It also has powerful antioxidant activity, meaning it can actually protect the skin from cellular free radical damage and photo-aging. And since it naturally comes from the ocean, it’s already ocean-safe. While seaweed-based sunscreens are unlikely to hit the market anytime in the immediate future, this research does bear promise for the development of a healthy, eco-friendly, natural sunscreen to replace the conventional disasters we are currently told to use. 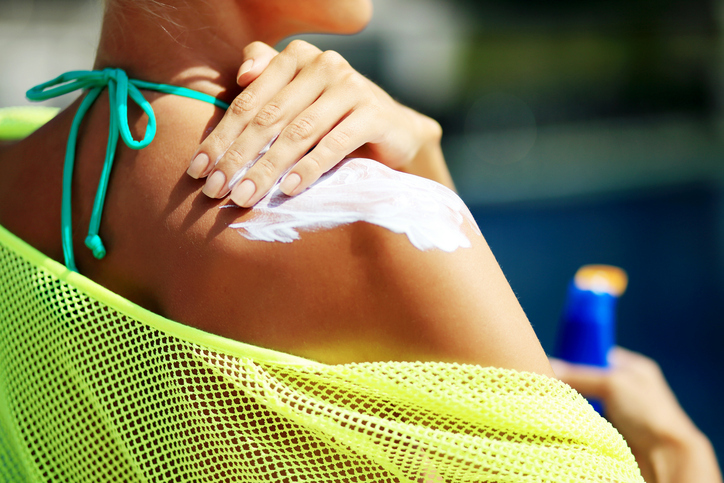 In the meantime, look for non-nano-particle mineral sunscreens with very simple formulations. Try hardy, natural surfer-developed sun pastes/cremes like Manda, or cover up with clothing during long bouts of intense sun exposure. While you should definitely protect yourself from sunburns, the last thing you want to do at the beach is hurt yourself or the oceans. I hope seaweed sunscreen hits the market soon, fragrance free and made with nontoxic ingredients!